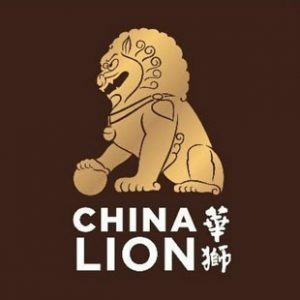 More new and interesting stuff coming out of China. (By the way, did you miss Duck Duck Goose back in April? So did we.) 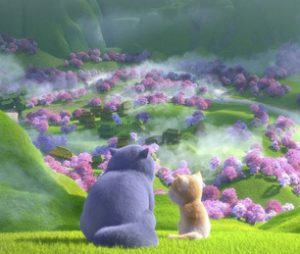 Animation World Network has an article about the latest animated feature from Light Chaser Animation (home of the critically-acclaimed Little Door Gods). 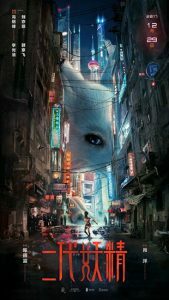 The new film is called Cats & Peachtopia, and once again it was written and directed by company founder Gary Wang. It goes like this: “Cats & Peachtopia tells the story of father and son cats, Blanket and Cape, living a carefree life in a tower block in the southwestern Chinese megacity of Chongqing. Curious about the outside world and longing for his deceased mother, Cape sets off in search of the cat heaven Peachtopia. Blanket goes after his son and adventures ensue.” The article goes into more detail, as well as discussing the financial difficulties faced by an animation company that produces films primarily (though not exclusively) for the Chinese market. No word yet if Cats & Peachtopia will reach North America anytime soon (DVD or otherwise), but the film did show at this year’s Annecy animation festival. 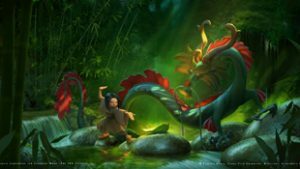 We found this article over at Variety: “Production is now under way on Wish Dragon, a major animated feature being made in China for Sony’s Columbia Pictures Film Production. 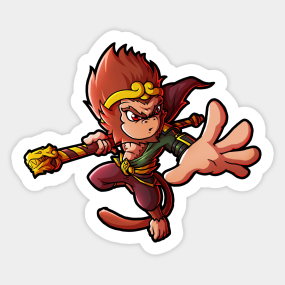 The film is a first feature for Base Animation, the new animation studio that is part of Beijing-based VFX firm BaseFX, and for Chinese super star Jackie Chan. 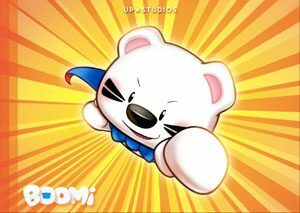 Chan’s Sparkle Roll Media is a producer and co-investor, and Chan will voice characters in both the Chinese- and English-language versions of the finished picture. The family-oriented film is being directed by Chris Appelhans (illustrator on Coraline) from his own original screenplay. The modern-day fairy tale picks up the moral challenges that emerge from the encounter between a boy and a dragon who is able to make wishes come true… The U.S. voice cast includes Fresh off the Boat star Constance Wu, Natasha Liu Bordizzo, Jimmy Wong, and Bobby Lee, alongside Chan.” Base Animation is hoping to have the film ready for release in 2019. Getting in on the ground floor regarding a new animated film — We don’t even have any images yet! But, here’s what we got from Variety: “Production is now under way at Cinesite in Montreal on Extinct, an animated feature being directed by David Silverman, the co-director of Pixar hit Monsters Inc. 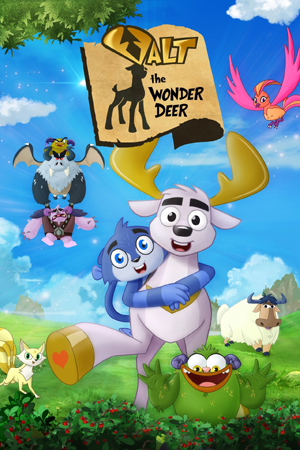 The film is a co-venture between multi-territory distributor China Lion Film, which will finance the picture, and China’s Wink Animation, part of Huayi Brothers Media. The adventure-comedy involves an adorable species of fluffy animals, called flummels. When two flummels are transported into the present day, they learn that their genus has become extinct, and travel back in time to try to save their race. The story is written by written by Joel H Cohen, John Frink, and Rob LaZebnik (The Simpsons).” According to the article, look for it in late 2020. 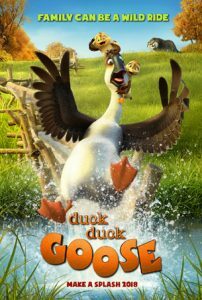 We mentioned before about an upcoming animated film called Duck Duck Goose, one of several films being financed the Chinese firm Original Force with the intention of releasing in North America. Well now, according to an article at Cartoon Brew, Duck Duck Goose has a release date — April 20th, 2018 — and a teaser trailer up on YouTube. “Chris Jenkins, a veteran Disney effects animator who more recently shifted to the producing side (Dreamworks’ Home, Sony’s Surf’s Up), makes his feature directorial debut on Duck Duck Goose. 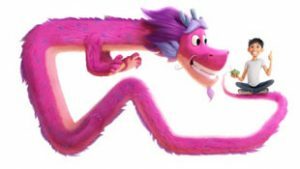 Jenkins co-wrote the film with Rob Muir… The film follows the adventures of a ‘high-flying bachelor goose’ named Peng (voiced by Jim Gaffigan) who finds himself in charge of two ducklings (voiced by Zendaya and Lance Lim) that he must take along on a long journey south. Other voices are provided by Greg Proops, Natasha Leggero, Reggie Watts, Diedrich Bader, Jennifer Grey, Rick Overton, Craig Ferguson, Stephen Fry, and Carl Reiner.” Distribution is being handled by Open Road Films, the same outfit that released The Nut Job and its recent sequel here in the States.